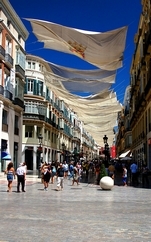 Welcome to Andaluciacar.com Malaga guide. You will find anything that you need to have a good time in this territory. There are many different areas in this website about this city and the best places to visit as well as we will give you some information about renting a car and the best rates. This is just an introduction to our guide. 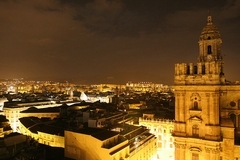 Moreover, this website has information about other cities of the province of Andalucia and Costa del Sol. Navigate from one city to other using the menu at the right of this website. When the morning sun lights up your face, you know that a new day awaits you. Not just any old day, though. A day in the Costa del Sol. Perhaps you feel in the mood for a fairytale experience, as if you were a child again. If it is the case, then ahead with one of the many theme parks to be found in the province, one of its water parks, for example. However, if you prefer to stay dry, there are a whole host of other things that you can do: take a cable car ride above the areas of immense natural beauty, discover and astonishing range of animal species or try your hand at the wheel of a kart. And to make sure that you show off your new clothes to their best advantage, why not get yourself into shape and start the adrenaline flowing. The Costa del Sol is the ideal place to do just that, sunbathing and enjoying the exciting Malaga nightlife. If you long to experience the intense emotions that the Mediterranean Sea has in store, then put on your neoprene suit and choose from surfing, kite surfing and windsurfing. If sails are your thing, then why not use them cruise the skies with a para-gliders or hang-glider. And this is not all: climbing, diving, hiking, horse riding and, of course, golf, plenty of golf, all await you. To round off the day, what could be better than to lie down on cool grass surrounded by nature? Huge gardens, parks and locations of incredible natural beauty provide the most spectacular of Malaga province’s many charms. Car rental in Malaga is very recommended if you want to enjoy and explore Malaga and get to its white villages. From this website you will be able to find the cheapest prices for car rental Malaga and reserve your car in advance. Malaga province has a total of 205 municipalities, some of them have a population of less than 50 inhabitants. 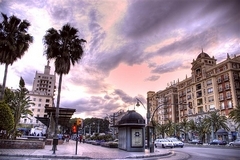 Some of the inland Malaga highlight towns are Ronda, Antequera, Alhaurin el Grande and Coín, although, the most popular destination are located near the Mediterranean Sea, in the Costa del Sol, some of these towns and cities are Manilva, Estepona, Marbella, Puerto Banus, Mijas Costa, Fuengirola, Mijas Pueblo, Benalmadena, Torremolinos, Nerja and, of course, Malaga City. Without any doubt, football (soccer) is the king of sports in Spain, and we can say the same for Malaga. The Malaga Club de Futbol is a really beloved team, both malacitans and tourists that have ever visited its impressive stadium (La Rosaleda), feel the colours in every match. There are many football schools established in Malaga, that's why there are so many good junior players natives from Malaga playing in the best leagues of Spain and England.